As my kiddos (and I am sure yours, too) anticipate the unlimited possibilities and freedom that awaits them this summer, I am filled with a mixture of excitement and dread as I look ahead to the coming months. Summer breaks are often a huge challenge for parents and usually we find ourselves in a panic scheduling our children’s activities and time. This summer, as I plan our schedules, I challenge myself to seek balance. Will you join me in this challenge? I do not mean that for every class, practice, game, therapy session or play date that we schedule for our children that we should schedule one for ourselves. Instead, my hope is that you are able to find some time for yourself; for your growth, your fun, your health. Schedule and find time for yourself like you do for your kids; seek balance. You may be asking who am I to be offering such advice? Am I a therapist or a counselor or have a PhD in family matters? No. Rather, I am a Mom who recently learned that self-care is not an indulgence, but rather a necessity to live a balanced family life. While a vacation on a Caribbean beach sounds nice, the balance I seek is not that grand. Take a walk around the block (with the kids if necessary), and enjoy nature and the outside of your house. Invite a friend to join you for an exercise class or a hike in our beautiful mountains. Try something new or challenge yourself to do something you have always wanted to do. If you can, schedule a date night, or a girls’ night, or schedule everyone else for a night so you can spend some time alone (and don’t clean or do other chores). If we continue to only give and never care for ourselves, at some point we will get depleted. Remember those instructions on the plane that you are to apply your oxygen mask first before you assist others? There is wisdom in that concept. The same applies for us as we care for our children, our parents, our bosses and seemingly all others first. If all else fails and you cannot take a break or schedule something for yourself, I hope you can give yourself the gift of being present. Being present does not require any additional resources other than giving yourself permission to fully focus on the moment. Then, in August, when we send our kiddos back to school or the wonderful care (therapy, infant, toddler or preschool) at TLC Learning Center, we will be able to look back on these summer months fondly, just as our kiddos will. Winton Churchill once said, “We make a living by what we get, but we make a life by what we give.” It is easy to get caught up the hustle and bustle of our lives and simply look past non-profit organizations and the benefit they provide to our communities. These benefits are far reaching, but can include children receiving better educations, homeless animals finding loving homes, children receiving quality medical care, and people in need being fed and sheltered. These are just a few examples of the many great services that are provided by non-profits. Our community is stronger because of the programs non-profits put in place, and help from the community, both financially and through volunteers, is always needed and appreciated. We are all constantly adhering to busy schedules and the many demands pulling our attention and time in different directions. The programs in place in our community are only successful because of the caring individuals that find a little extra time to put the framework into place, implement the services, and stay the course to make sure that the mission and vision of an organization are being met. The success of the non-profits in our community can be accomplished by a group of people working together to better the lives of everyone that call the community home. There are many great non-profit organizations in our community of Boulder County and Longmont that could use your help. Simply look at what is important to you and what you believe in, and reach out and give…maybe from your pocket… or maybe by volunteering an hour of your time to help the organization's effort. Everyone has needs, what can you do to help meet the needs of others in your community? Our community is only as strong as its members, and it takes a combined effort to ensure the future success for generations to come. I have been a resident of Longmont, CO for over 30 years and have seen first-hand the positive impacts that TLC Learning Center has had on both the community and children that I personally know. I fully support providing all children in our community, with typical and non-typical needs, a higher standard of early education. It is a privilege and pleasure to be able to give back to my community through sitting on the Board of Directors of TLC Learning Center. 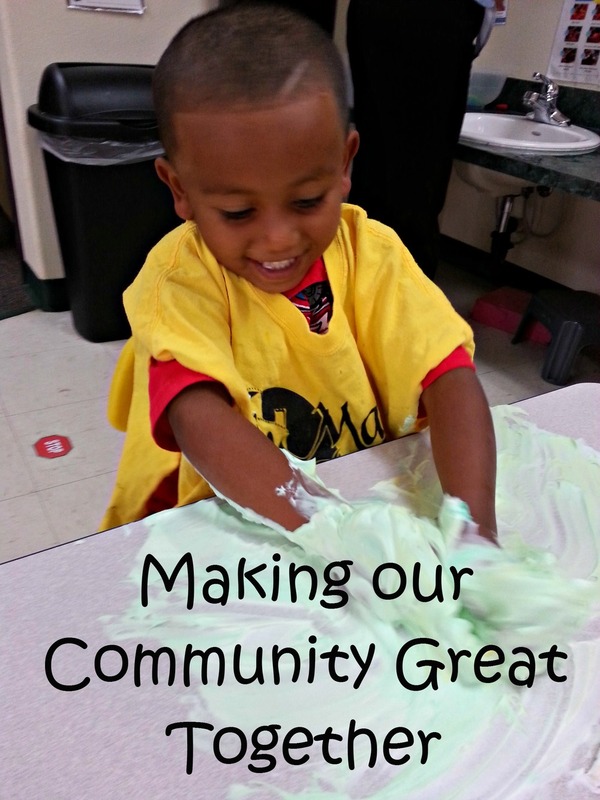 Being a TLC Board Member lets me give back to the community that I love and call home. I challenge everyone in our community to find a way to do the same, whether by doing something small or something big. Doing SOMETHING is the greatest start. Being a part of TLC Learning Center is one of the ways I hope to help make the world not just a good place to live in, but a great place to live in. I hope you'll consider joining me in supporting TLC Learning Center, or another community non-profit that inspires passion through their vision of a better place for all of us. The Tiny Tim Learning Center was founded many years ago by a dedicated group of parents of children with special needs. My step-daughter, Casey, was one of the early enrollees. She is 41 today, lives on her own, and is largely self-sufficient, thanks to her involvement with places like Tiny Tim (now called TLC) and the wonderful people who worked there throughout her young life. When she entered Longmont High School, attending a few classes with typical children was called "mainstreaming." Today, having children with special needs in a class with typical children is referred to as an "inclusive classroom." The world is a better place today because of inclusive classrooms like those at TLC, where special kids like Casey aren't locked away from their peers at a young age. This was the driving philosophy behind the founding of Tiny Tim, and remains the mission of Tiny Tim, called TLC, today: Kids with special needs and kids with typical development should learn side-by-side in inclusive classrooms to benefit both the children with special needs, and the children with typical development. Candidly, TLC has little issue with attracting children with special needs to enroll in its programs. TLC's long-standing reputation as a wonderful early childhood education program for children with special needs is just as well-deserved today as it was when my step-daughter attended. Even though the name has changed from "Tiny Tim" to "TLC," the mission, the standard of care, and the quality of the education and services to families remains the same. Because of TLC's reputation and word-of-mouth referrals, TLC almost always has a wait-list for children with special needs to enroll in its classrooms. The wait-list stems from TLC's commitment to classroom ratios of 6:4, meaning classrooms are comprised of 60% children with typical development, and 40% children with special needs. This is a research based best-practice ratio to ensure each child receives the maximum attention, care, and service needed to build kindergarten-readiness. Despite TLC's ability to prepare EVERY child for success in kindergarten and beyond, enrolling the typical child has proven to be a difficult task for TLC. TLC's most common feedback is that families don't know TLC serves typical kids as well as kids with special needs. This misunderstanding is disappointing, in that TLC can only enroll more children with special-needs when there is a sufficient enrollment of typical kiddos to create the 6:4 ratio in every classroom. Thus, the recent name change from The Tiny Tim Learning Center to TLC Learning Center. It is the Board of Director's and the staff's hope that the name will decrease the misconception that TLC doesn't serve typical children with the high-quality education they need. TLC absolutely serves typical children with research-based curriculum, outstanding and caring staff, and carefully monitored progress of skill acquisition and development using the Teaching Strategies GOLD assessment portfolios. Achievement data: Of the eleven students who left TLC at the end of 2014 to enter kindergarten, 94% were “kindergarten-ready” based on math and literacy data collected in GOLD portfolios. Growth data: In the 3-4 year old group, the percentage of students meeting or exceeding growth expectations was between 87% (language) and 96% (social emotional). In the 4-5 year old group, the percentage of students meeting or exceeding growth expectations was between 94% (literacy & mathematics) and 100% (cognitive and social-emotional). These results are especially noteworthy, when one remembers that TLC's classrooms are not 100% typically developing children, but include 40% children with special needs. The Board and staff's desire to better share with the community our work with typical children also triggered our interest in launching Infant & Toddler childcare.TLC now provides inclusive, high-quality, Four Star Qualistar Rated Infant & Toddler childcare five days a week to better serve families, and to create a continuum of care for children from birth to five. This is why I am writing this article. We need your help letting the community know that we serve typical children as well as special needs children, all while maintaining our same mission to provide comprehensive early childhood education and therapeutic services to assist each child in reaching his or her highest potential. Please take a moment and think of parents with newborns or infants and refer them to us, either by calling (303)776-7417 or by emailing Cindy Wickham at CWickham@LearningWithTLC.org. While TLC is a 501(c)3 non-profit, it operates as a business in order to be able to fulfill our mission. As with any other business, operating at full capacity would allow us to both operate more efficiently and offer more children the opportunity to grow, learn, and become better prepared for entering grade school. And if I might make it more meaningful by sharing a personal experience, please keep reading. Cathy and I met and blended our existing families in 1983. She had Casey, and I had two daughters. Shortly thereafter, our son, Tom, announced his pending arrival. Fast forward to Tom's first day of kindergarten at Hygiene Elementary. Cathy was a panic stricken mother-bird when he did not get off the afternoon bus. Tom called her a short time later to say his friend, who was born with a cranial birth defect, was being teased on the bus by some older boys, and Tom was afraid to get off and leave him alone with those boys. So Tom rode the whole way home with his friend. I have been proud of my son many times in his life, but never more so than that day. He learned to be such a sensitive and caring person in large part by being raised with an older sister with Down syndrome. This is the type of compassionate behavior children with typical development learn in addition to literacy and math skills, by being in classrooms alongside children with special needs. Don’t you want that same thing for your child, grandchild or just a young neighborhood kid? That is what an inclusive classroom setting offers, among many other positive learning experiences for typical kids. Telling the community what we do and who we serve to help us enroll more typical kids helps not only the typical kids, but the special needs kids we can take off our wait list and enroll in a classroom because of the balanced ratios created when typical kids enroll. Could you help us spread the word? The Board of Directors are basic to the life and operation of TLC Learning Center. Although somewhat hidden behind the scene to our parents and staff, the Board performs functions of an important legal and organizational nature. I've had the privilege of serving two terms of duty on the TLC Board, as well as filling the role of Interim Executive Director. Each time I served, TLC was faced with significant challenges as well as great achievements. In collaboration with the staff and leadership teams, the Board was able to make significant progress in TLC's goals, and smooth the way for future endeavors and new staff members. I have warm memories of the dedicated staff and their hard work throughout the years. A good Board is always looking for new members of the community: business leaders, philanthropists, alumni parents, and more. Joining the Board of Directors is an exciting opportunity to engage with the community, to expand your professional and social network, and to volunteer your time for an extraordinary cause. But what does the Board DO, exactly? By statute, the Board must establish and maintain by-laws which cover the general purpose and legal aspects of TLC. The official name, the size and composition of the Board, the terms of service, board meetings, and other basic information are spelled out in the Board's by-laws. Financial oversight. This includes budgeting, financial review and control policies, compensation policy, and various fiduciary responsibilities. Establishing the mission and strategic direction of TLC. Central to this role is the Strategic Plan, which is maintained and updated on a regular basis. Fundraising. TLC relies upon private and public funds in addition to charging for its services. Internal resources are dedicated to fundraising on a regular basis, and the Board is involved in many aspects of the process, including volunteering at annual events like the Christmas Tree Festival and spring auction. Recruiting and training new Board members. Replacing retiring members is a continuous responsibility which the Board must perform, including the search and enlistment of people with the necessary skills and background to maintain a balance. Officers are elected according to the by-laws and various committees are staffed with members of the Board. The Executive Director. Perhaps the most impactful role of the Board is to hire and mentor the Executive Director. The Executive Director has responsibility for all functions within TLC and so must be recruited, selected, compensated, and motivated by the Board. Regular Board meetings. These are convened to ensure the proper functioning and recording of the actions of the Board. Various public responsibilities. Compliance with all laws and regulations must be assured. Serving on a Board of Directors for a worth-while cause like TLC, which serves children both with and without special needs or from low-income backgrounds with childcare, preschool, and pediatric therapy, is a life-altering choice that brings both challenges and joy. If you're interested in serving on the TLC Board, or have questions about the Board, contact TLC's Executive Director Matt Eldred at meldred@learningwithtlc.org, or at 303-776-7417. Welcome to the TLC Learning Center Blog, where nurturing success in all children has been our goal since 1956. At TLC, our mission is to provide comprehensive early childhood education and therapeutic services to assist each child in reaching his or her highest potential! We aim to ensure that every child who leaves TLC will enter kindergarten ready to learn, able to interact with his or her peers building lasting friendships, and have every opportunity to succeed regardless of their circumstances, environment, or other challenges they may have. You may know that TLC has been awarded the highest rating 4-Stars by Qualistar, which is a Quality Rating System that measures the quality of child care programs in Colorado on a provisional to 4-Star scale. The Qualistar Rating™ is an important part of Colorado's child care Quality Rating and Improvement System (QRIS). Qualistar says Providing high-quality early childhood education isn’t a simple task. Though most programs consistently strive to improve quality, financial realities make it a tough road for even the most dedicated providers. Programs participating in the Qualistar Rating™ have taken an important step in their quality improvement journey. As part of the Qualistar Rating™, programs are given a profile that reflects an objective view of both their strengths and areas for improvement. This profile offers valuable suggestions on how to improve the overall quality of their program. I am very happy and proud to represent the TLC Learning Center Staff who is 1 of only 3, 4-Star Rated Childcare Centers in Boulder County and the Only 4-Star Center in Longmont! While this outside "stamp of approval" is something we are proud of, what we are most proud of is the quality of care in all of our classroom from our infant & toddler classrooms, to our preschool classrooms, and our therapeutic services in the classrooms, in the center, and in homes. The TLC model is unique in that we provide education services for children with typical development, special needs, developmental delays, and from high-risk backgrounds all in the same setting. We offer donor-funded scholarships to families in need, providing the best early childhood education and pediatric therapies possible for children. To increase our ability to serve children in economic need, we participate in the Colorado Childcare Assistance Program (CCAP), the Colorado Preschool Program (CPP) in partnership with the St. Vrain Valley School District, and Medicaid, enabling us to serve children not just of all abilities, but from all socio-economic backgrounds. This helps us give children a bright future regardless of background, and helps enable working parents to continue supporting their families by offering low-cost early childhood services. Colorado has a strong need for services that cater to working parents, as the state ranks in the top 10 least affordable for early childcare and education . Further, a large dearth exists in the number of infant, toddler, and preschool spots in Boulder County that are available for children from low-income families or with special needs who qualify for state funded childcare assistance. This absence negatively impacts working parents and families, who may have difficulty balancing child care duties and working hours, especially when the cost of care can outweigh a paycheck. Centers that accept the Colorado Childcare Assistance Program (CCAP) are even more difficult for families to secure space in, due to high demand. These findings are echoed by the St. Vrain Early Childhood Council, the Boulder County Early Childhood Council, and Qualistar Colorado's 2013 Signature Report. TLC works to meet the needs of community through child and family education and health services all in the least restrictive environment, allowing children to receive the best care and services, while families can work knowing their child's needs are all being met. Our goal is to be an extension of the family and to partner with parents as they are their child's first and most important teacher. As you read the following blogs, I'd encourage you to reflect on your own upbringing and your early childhood experience and hopefully you will see that the folks who post blogs here are 100% committed to being the best they can be to ensure that our children have the best chance to be the best they can be for a bright future for us all! Thanks and come see us anytime!